Today, Microsoft announced the public availability of Microsoft Office 2010 Beta. Microsoft says the new version is designed to deliver the best productivity experience across the PC, phone and browser. CompanionLink plays a key role in enhancing the productivity of Outlook 2010 by syncing data to mobile and web-based platforms. There are four primary ways CompanionLink can be set up to sync Outlook 2010 data. CompanionLink can do a USB sync between Outlook 2010 and supported phones. 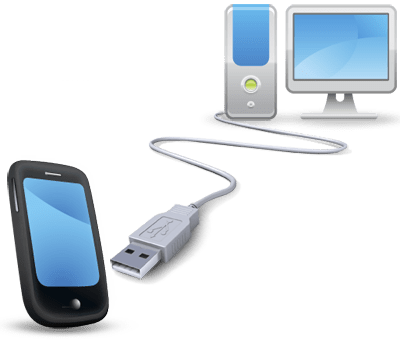 Data either syncs using CompanionLink’s proprietary technology or using helper conduits like BlackBerry Desktop Manager (for BlackBerry devices), iTunes (for iPhones), HotSync Manager (for Palm OS devices), or ActiveSync (for Windows Mobile phones). CompanionLink can sync contacts and calendar with your Google account. Contacts and calendar sync to Google Contacts and Google Calendar. Once data is synchronized with Google, the free Google Sync service offered by Google can sync that data over-the-air with smartphones. CompanionLink works seamlessly with the Google Sync feature. CompanionLink also offers a wireless sync service that syncs Outlook 2010 contacts, calendar, tasks and notes directly to the phone’s built-in address book, calendar, and tasks apps. The monthly service allows users who are using Outlook 2010 or Outlook 2010 Business Contact Manager without an Exchange Server or BlackBerry Enterprise Service get over-the-air sync capabilities. With iPhone, CompanionLink has a custom iPhone app (called DejaOffice) that provides PC-like calendar and tasks modules that include categories, priorities, and sorting features that business users have come to expect. CompanionLink can also be set up to sync Outlook 2010 with Lotus Notes, GroupWise, Outlook 2010 Business Contact Manager, Palm Desktop, ACT! and GoldMine. Two-way sync lets customers work in either software and ensure the other is updated every time a sync is done. This entry was posted in CompanionLink Products and tagged Outlook 2010 BCM, Outlook 2010 Lotus Notes, outlook 2010 sync, outlook 2010 sync with Google by Rushang. Bookmark the permalink.